Stainless steel inner links and high-grade nickel coated outer plates make this chain extremely resistant to wear and corrosion. 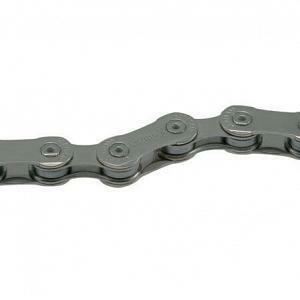 10-speed bicycle chain. 10 speed bike chain. Includes one Snap On Connector.